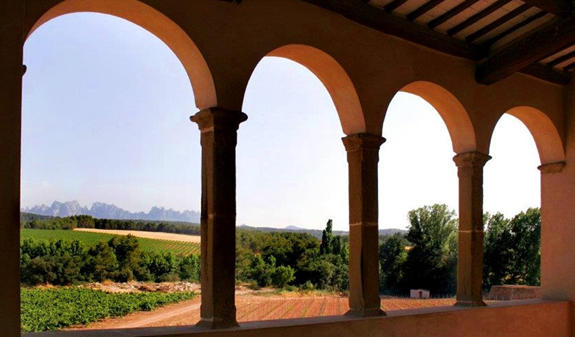 Treat yourself to a gourmet food and wine experience at a millennia-old castle and make the most of your time to discover one of Catalonia's great iconic landmarks, Mount Montserrat. Just an hour away from Barcelona you can discover Mount Montserrat Natural Park where you'll take a guided tour of the monastery and see the Black Madonna, popularly known as La Moreneta, the cloisters and the plaça de Santa Maria. You'll also have time to explore the surrounding area and enjoy breathtaking views. 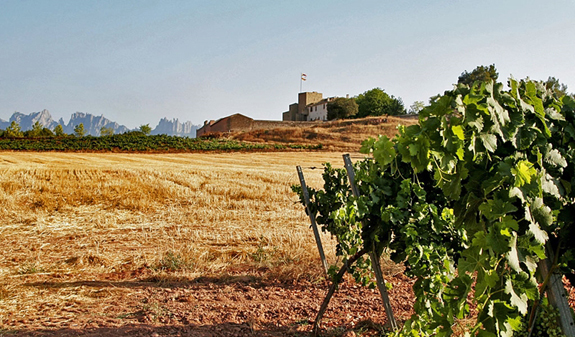 Half an hour later you'll arrive at the Oller del Mas winery where you'll go on a wine tour. 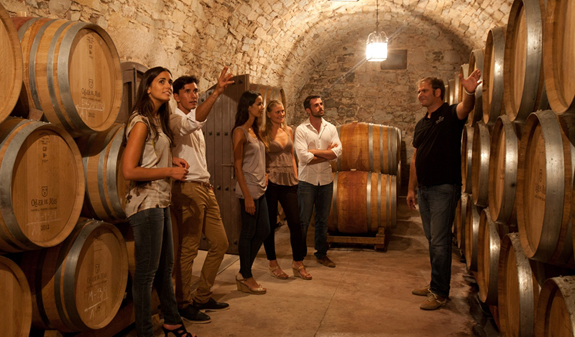 You'll visit the vineyards, learn about the wine-making process and, at the end of the tour, you'll take part in a pairing of three wines with cold tapas. 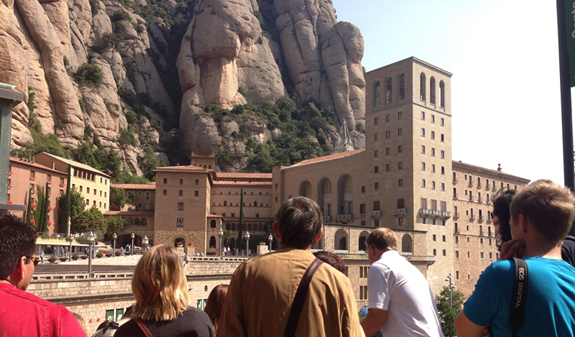 Guided tour of Montserrat (1h. 15min.). 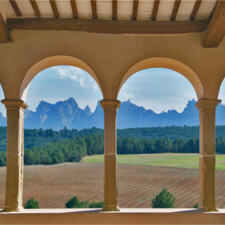 Free time to explore Montserrat (30 min. approx.). 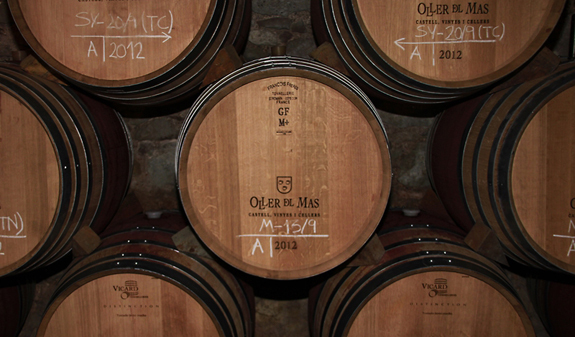 Guided tour of the Oller del Mas winery. 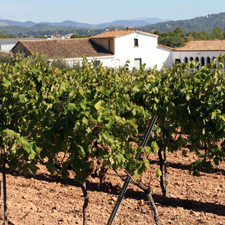 Tasting of three red wines paired with a selection of Catalan tapas. 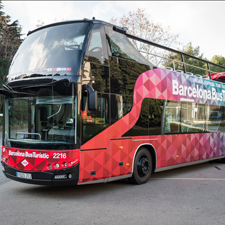 Times: Monday to Sunday, departure at 8.45am and return at 3.30pm. Meeting point: plaça Catalunya, in front of the Hard Rock Cafe. Metro: L1 and L3 Catalunya stop. FGC: Catalunya stop. Rodalies Renfe: Catalunya station. The guide will be holding a bright-pink umbrella to make it easier to spot him/her. Children under 4 travel free but their food and drink are not included in the price. We recommend you wear comfortable clothing and footwear. Montserrat is a place of worship so please dress accordingly. Hotel pick-up and drop-off and gratuities are not included. 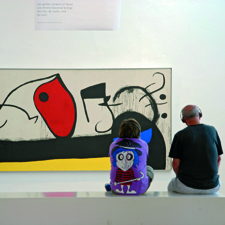 People with reduced mobility who wish to go on the tour, please call: 932 853 832.